The Dramatists Legal Defense Fund (“DLDF”) was pleased to present “Banned Together: A Censorship Cabaret” as a part of Banned Books Week (September 24-30), the annual celebration of the freedom to read. 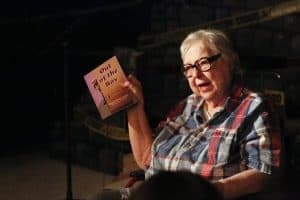 This specific event at the Murfreesboro Little Theatre featured PEN America and special guests: Margaret Britton Vaughn, Poet Laureate of Tennessee, and Kory Wells, the inaugural Poet Laureate of Murfreesboro. Banned Together: A Censorship Cabaret is a celebration of songs and scenes from shows that have been censored or challenged on America’s stages, created to raise awareness around issues of censorship and free expression in theater. 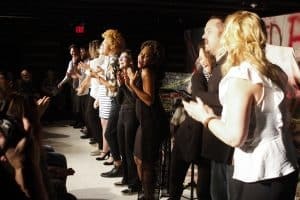 The performances featured selections from Cabaret, Chicago, Almost, Maine, Rent, and Angels in America, among other notable works, with a libretto by DLDF President John Weidman. The show was directed by Arabelle Pollick and performed by 15 local artists. 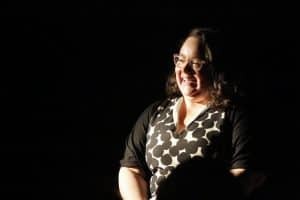 After the cabaret, PEN America representative Rebecca Stump shared the latest news about PEN America’s newest initiatives and projects. Guests stuck around for a poetry reading and mingle. The poetry reading was hosted by Poet Laureate of Tennessee Margaret Britton Vaughn and featured Kory Wells (founder of Poetry in the Boro), the inaugural Poet Laureate of Murfreesboro.